Grilling is one of the best parts of summer cooking. 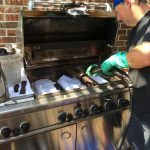 When it’s hot outside I try to keep the inside of the house cool…so I do much of my cooking out on the grill. I have both a gas grill and a Big Green Egg. I won’t talk about the Egg today – oh, so many tasty meals have come out of it, but I’ll have to post on that separately! No, today I am only focusing on the gas grill. In 1999 we bought our gas grill. It is made by DCS and, at the time, was a huge investment, one that has turned out to be well worth it. Because the weather is so often nice here in Texas (and by nice I mean HOT), this grill has gotten a ton of use over the years. We now use a lighter to help it start since the starters no longer work (and we don’t want to pay to have them replaced), and there is a little bit of corrosion here and there, but nothing that prevents us from using it. It is in very good condition, especially for its years and how much use it has received. We keep it clean, giving it at least one, but usually two, thorough cleanings ourselves each year. I am certain that this is much of the reason our grill continues to give back to us. It has been well maintained. We love it, and in return it loves us right back, providing us with some amazing meals cooked to perfection. 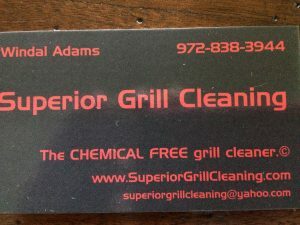 This season I learned of a guy who will come out and clean your grill for you (Windal @ Superior Grill Cleaning). He brings a steam cleaner, bucket, gloves, etc…everything he needs to get it looking like new again, or at least as new as possible. A friend and neighbor used him a few weeks ago and sang his praises so highly I had to check him out for myself. Added bonus: I don’t have to clean the grill (especially in this heat) myself. Nice! I took some before and after photos so you can see the difference. We have company visiting next week. 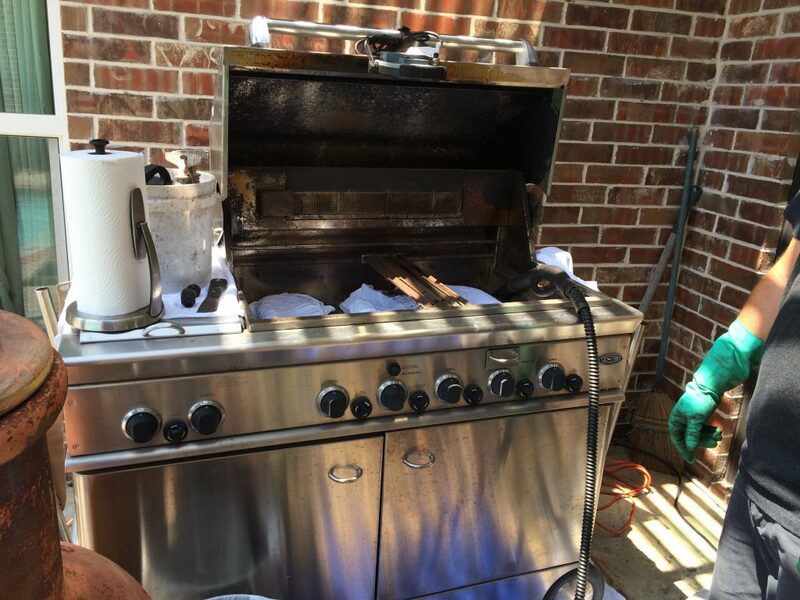 I will now have a spotless grill on which to prepare our meals…and I can check one more chore off of my list! Yes!! You can see what a difference it made. 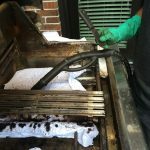 **Update: Windal came back as he said and finished up, leaving our grill sparkling clean! For anyone in the Dallas area, below is Windal’s business card. I invite you to call him to have your own grill refreshed. < Previous Travel and Airports and Food…Challenges! Next > Tapas, Sangria and Paella in St. Thomas: Amalia Café…Best Spanish Fare on Island! 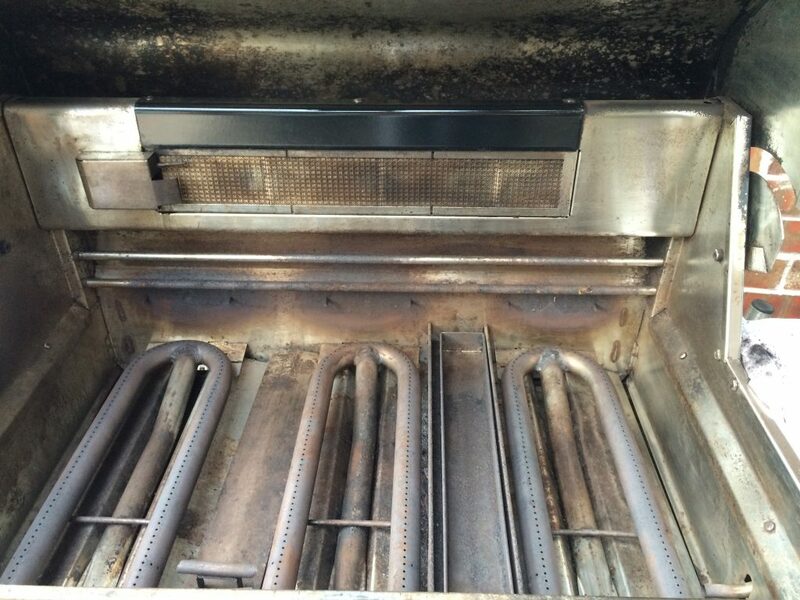 Wow, that clean grill is beautiful! 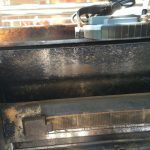 How wonderful to have someone come out and clean the grill. That was a creative idea for a business. I thought so, too! I am excited to cook on it! !